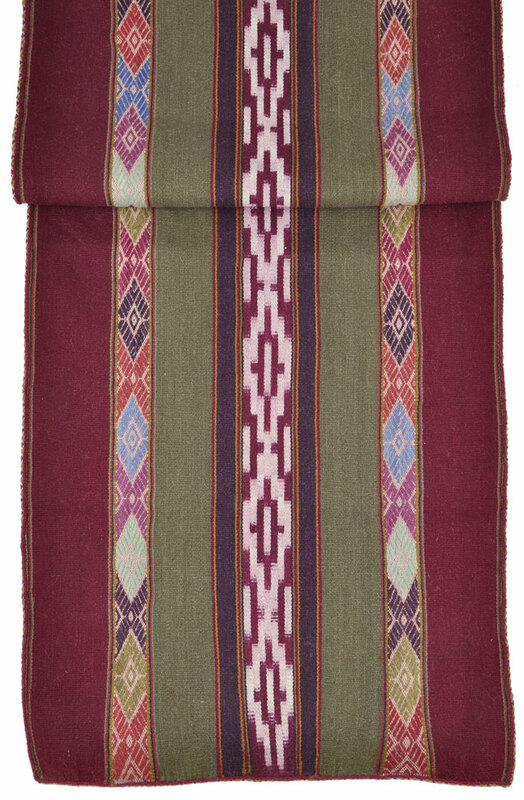 This exquisitely woven alpaca wool table runner from the weaving community of Santa Cruz de Sallac, Peru, featuring the Watay (Quechua term for ikat or resist-dyeing) technique recently revived among the Sallac weavers also features meticulously embroidered geometric bands. 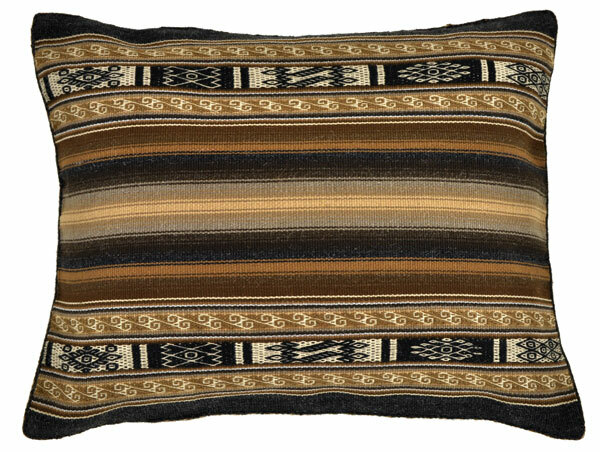 This technique is unique to the village of Sallac, and the finished result looks as though it was produced by a supplementary weft weaving technique. The naturally-dyed colors are rich and deep: cochineal and green with two colorful embroidered design bands. 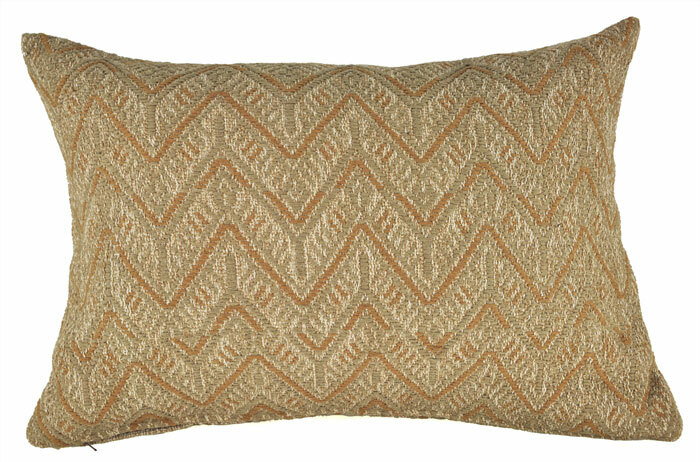 Sophisticated and elegant, the edges are cleanly finished with a woven edge trim. 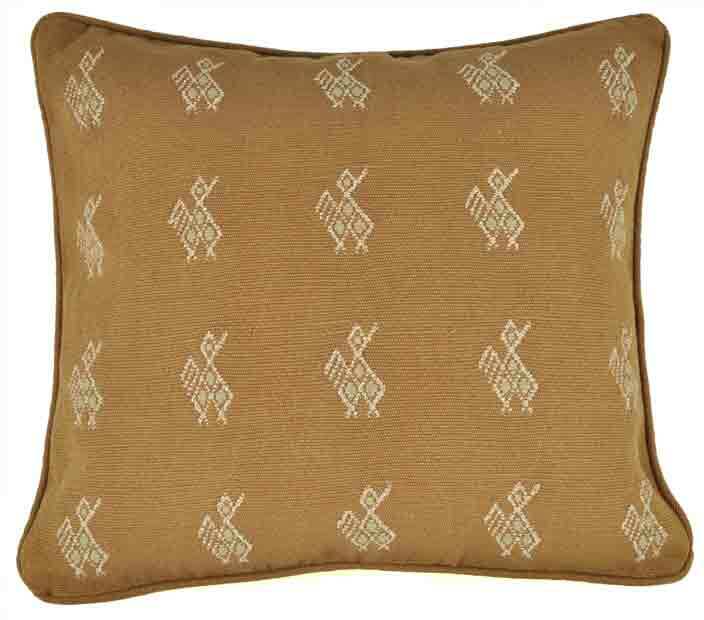 No two are alike as each weaver’s creativity is translated into their work. 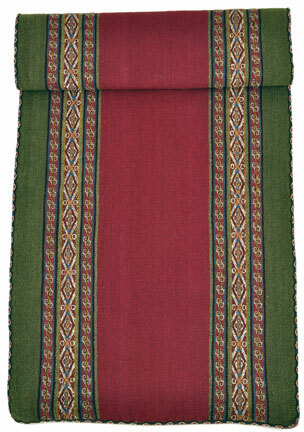 Backstrap woven by artisan, Placida Turpo Quispe, from Santa Cruz de Sallac, a highland village member of the Center for Traditional Textiles of Cusco (CTTC). CTTC works with Quechuan-speaking artisans to help preserve Inca textiles and weaving traditions as well as to build skills, community networking, and to develop markets for the goods. 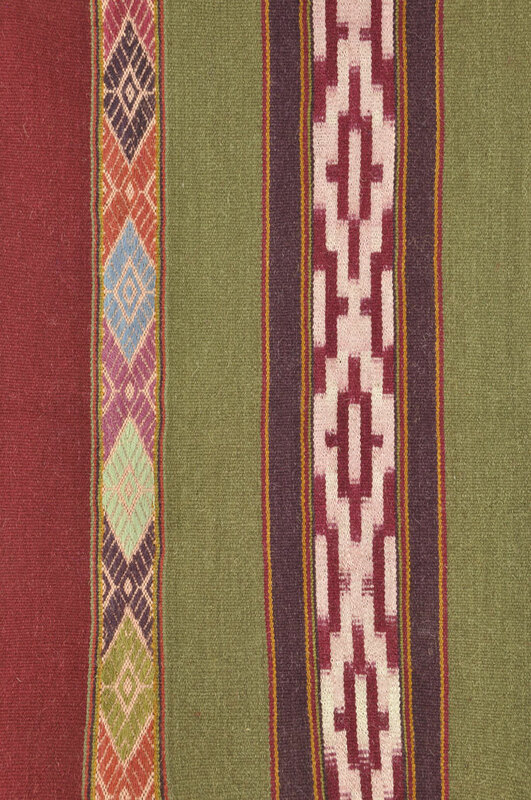 Backstrap woven by artisan, Luisa Quispe Anccalle, from Santa Cruz de Sallac, a highland village member of the Center for Traditional Textiles of Cusco (CTTC). CTTC works with Quechuan-speaking artisans to help preserve Inca textiles and weaving traditions as well as to build skills, community networking, and to develop markets for the goods.